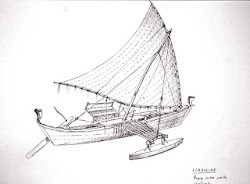 – the appropriation of crab-claw sails in Oceania. 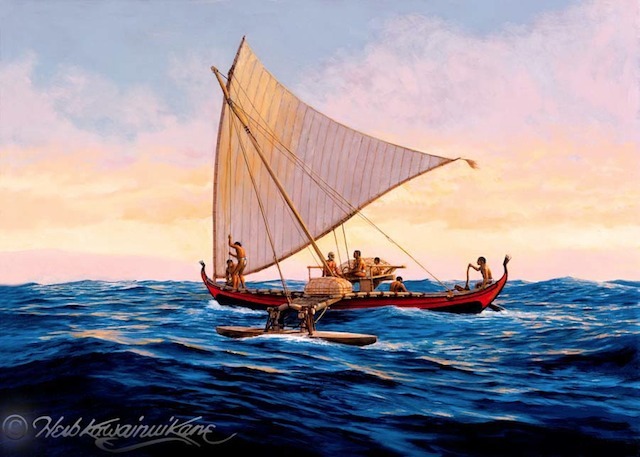 Art, photography and graphic images of Oceanic sails are scattered across the last four hundred years of visual history in Oceania. 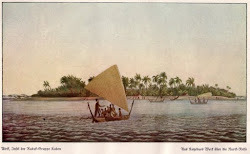 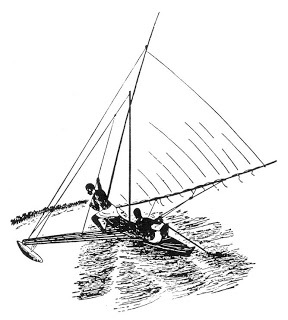 The crab-claw or inverted triangular shaped sail, initially depicted in ethnographic and technical drawings, historical tableaux, etchings, photographs, postcards and illustrated books and magazines, took on a new meaning in western imaging when stamps, letterheads, logo and advertisements displaced earlier methods of representing Oceania. 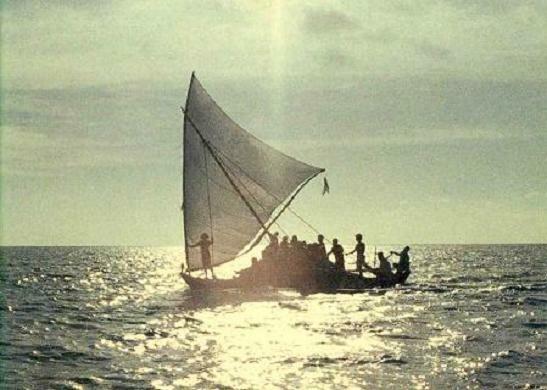 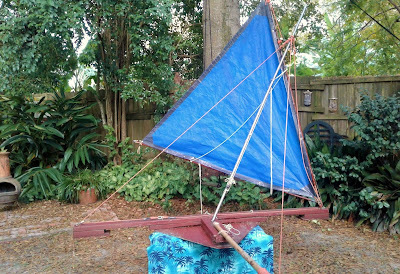 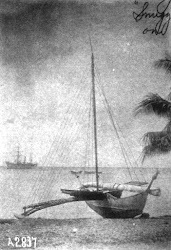 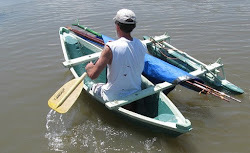 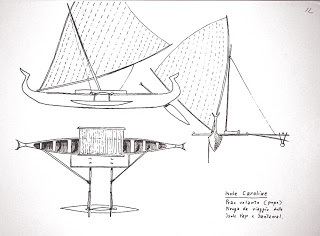 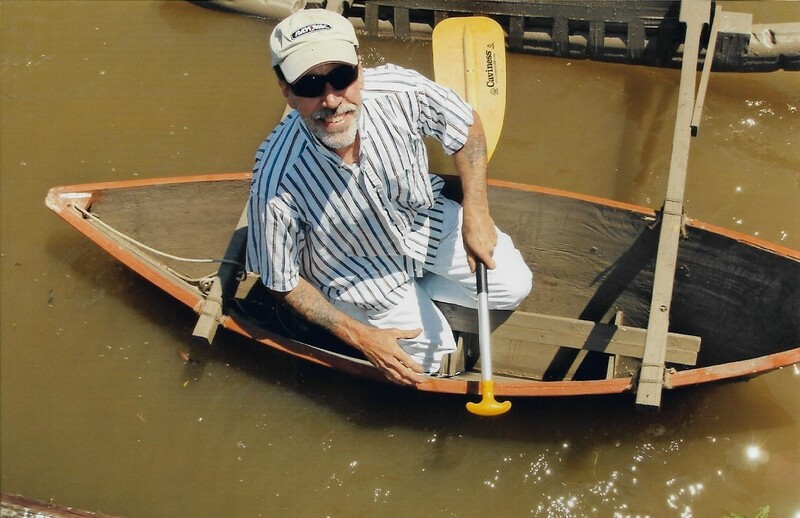 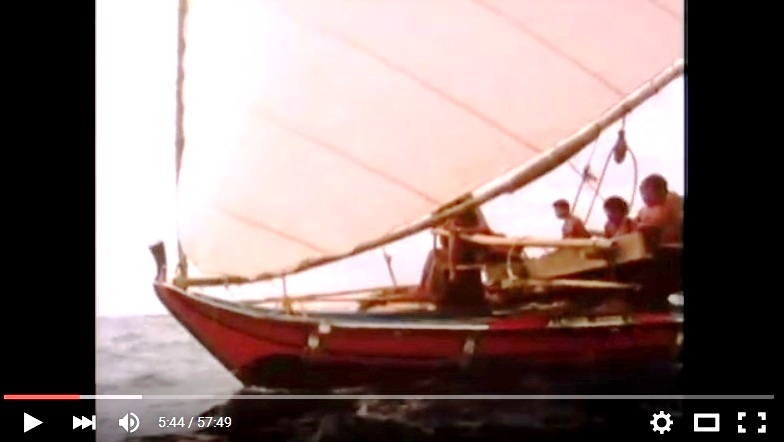 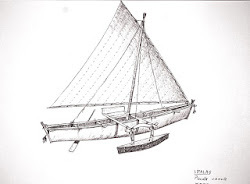 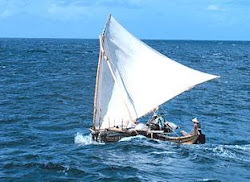 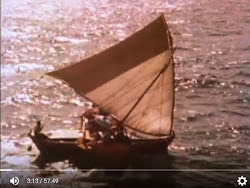 The soaring sail, shown detached from the double-hulled canoe or outrigger, lost its association with long-distance voyaging when stylized, graphic art and computer-generated sail images began to play a symbolic role and national entities, movements, organizations and institutions sought to assert Oceanic identities, cultural unity and political relationships. 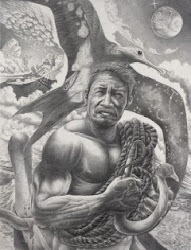 What began as a visual record of maritime achievement became an evolving iconography of appropriation and commodification serving a range of sovereignty, political and regional campaigns. 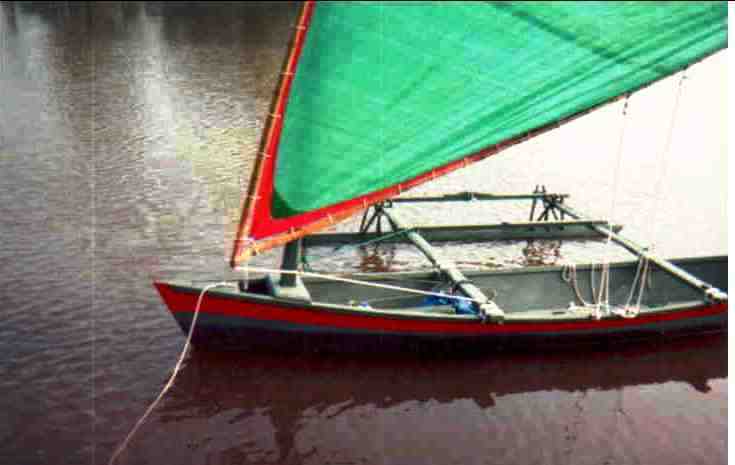 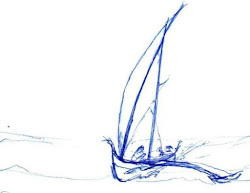 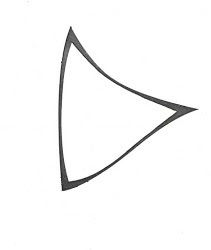 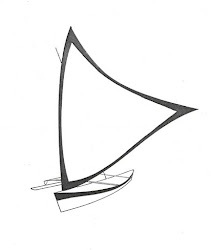 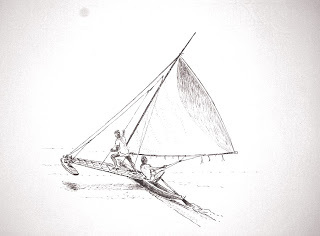 The distinctive, inverted sail in Oceania, catalogued according to regional differences as crab-claw, lateen, boomsprit, spritsail or two-boom triangular sail1 became an icon and artistic and commercial commodity in Oceania as its striking and simple form was appropriated in a sequence of differing iconographic uses.2 In these appropriations the sail lost its ethnographic connection to actual long distance voyaging, canoe construction, navigation and associated maritime cultural practices.